Hi, storing data of an application is one of the basic needs, so as you may know android provides several options to store data internally and externally. Such as shared preferences, SQLite databases, Content Providers, external storage and etc. 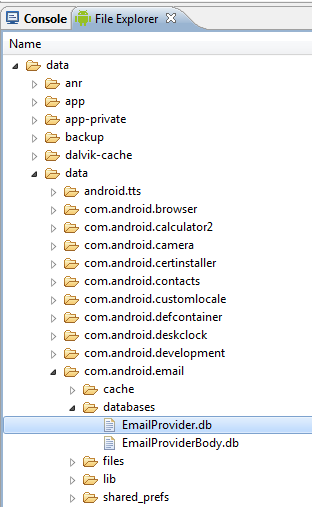 You can check it at the android developers site ->http://developer.android.com/guide/topics/data/data-storage.html . 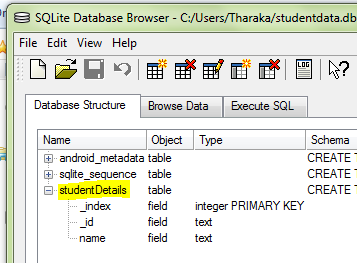 To create an internal database you can use either SQLite or Content Providers. In case of choosing the proper method is depend on the usability of the data you store. As an example if your application store contact details and those data need to be accessed via another applications you can use Content providers to create the particular private database. Otherwise can create a SQLite database which allows you to store and use data entirely within your own application. Define the column names of the database. Define the database name and the table name. Inside the DBAdapter class write another private class which is a subclass of ‘SQLiteOpenHelper’. This helper class uses to manage database creation and version management. 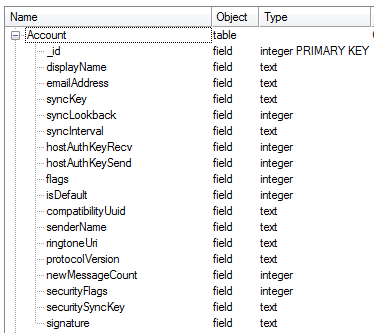 Now create an instance of DBAdapter inside the Activity class and call the open(). Then the SQLite database will be created on your device. 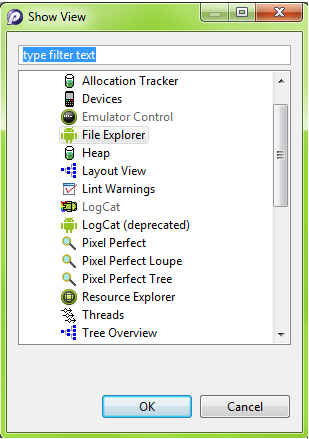 When you deploy the application on the Emulator, you can determine that the database is created using ‘LogCat’. If the application runs without any Runtime Exceptions you will get the following output. 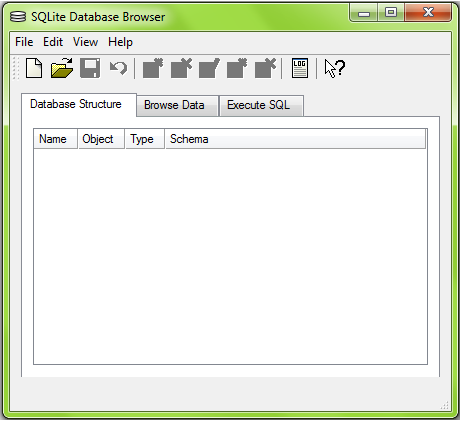 SQLite Database Browser is an open source visual tool which can be used to create, design and edit database files compatible with SQLite. 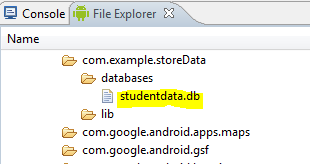 You can use this “SQLite Database Browse” when dealing with android internal databases. In my previous post i gave you the steps to export internal databases which are stored on the Emulator. This browser will simply allow you to view the structure and data stored in a particular database you have exported. This browser is really helpful when creating internal databases for android applications in which case you need to debug. “”If there are any errors in the query of creating tables, you’ll have to delete the database from the Emulator using the “File Explorer” view because although we change the query, the changes won’t apply until the existing database (with the same name) is on the Emulator. The reason is onCreate() of SQLiteOpenHelper class is called when the database is created for the first time(or this executed when application is launched for the first time after installation) and this is where the creation of tables and the initial population of the tables happens. Therefore, though you change the CREATE TABLE query it won’t replace the existing erroneous table. First open the database which you have exported. 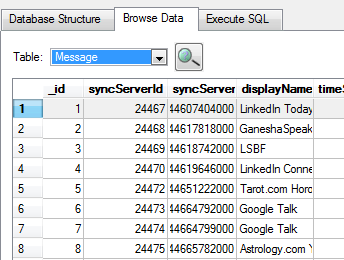 The “Database Structure” view will let you see all the data tables in the database.You can explore each table to view the structure of each table. I exported EmailProvider.db. Also you can view the data in each table from “Browse Data” tab. 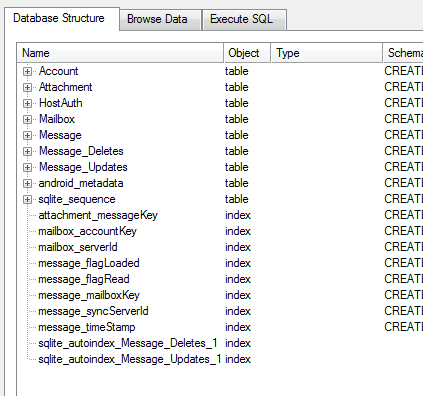 When creating internal databases for your Android application, you may be required to test the database structure and the data stored in it. In Eclipse it provides a mechanism to export the files stored in an Emulator. Today I’ll give you the guide to export a particular database from the Emulator. First, run the application on the Emulator. If you haven’t run the application this view will be empty. The file explorer view will be added next to the console. Now explore the data folder as follows to find the database you need to export. After that select “Pull a file from the device” icon on the R.H.S. Then ‘Get Device File’ dialog will appear and you can save your database on your PC.